Monday November 5, 2018-Ethics and Anti Corruption Commission (EACC) has extended the corruption probe against embattled Migori governor Okoth Obado and his alleged proxies beyond Kenyan borders. In documents shared by the commission on Monday, the anti graft body says Obado and his children travelled to Australia carrying 4.5 million US dollars. The commission said the governor travelled to Australia some few months before the 2017 Presidential election. In Australia, Obado laundered the money at a high-end casino that is famous for rich businessmen, movie stars and some emirate princes. 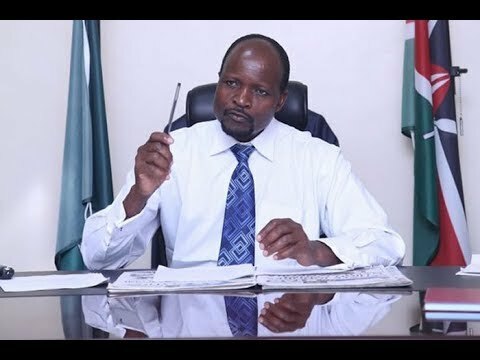 The commission says Obado changed the cash allegedly looted from the county coffers into Australian dollars at Crown Towers Casino. “The commission has sufficient information that on February 19, 2017, the governor and his children travelled to Australia while in possession of USD45o,000 believed to have been fraudulently acquired from the county and laundered the money into AUD576,460 at Crown Towers Casino, Perth Western Australia,"
"The commission is in contact with the law enforcement agencies in Australia for related investigations,"the Eliud Wabukala led commission stated.